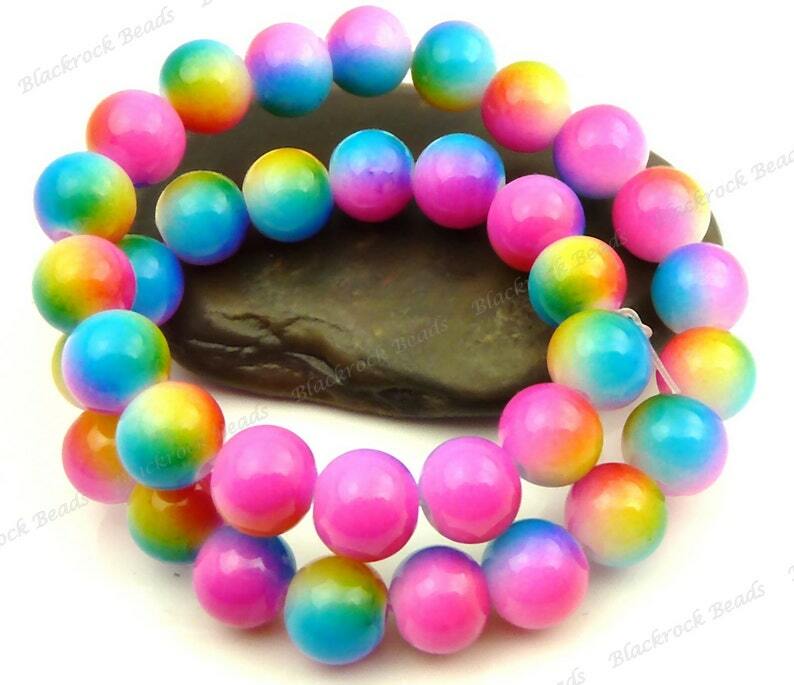 Colorful round glass beads in shades of bright pink, blue and yellow and hints of green and purple. 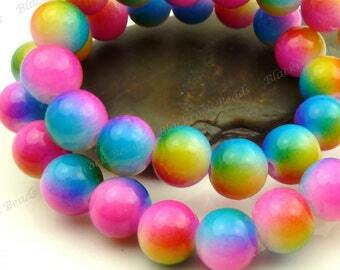 These are 8mm opaque beads with a rainbow striped pattern and a smooth, shiny, glossy finish. They have about 1mm bead holes and you will receive 25 pieces with this purchase. Gorgeous, quality beads. Amazing customer service.